This entry was posted in Process, Reading, The Writing Life and tagged characters, don't chicken out, fiction, live how you write, obsession, Sherlock Holmes by Keiko O'Leary. Bookmark the permalink. I like this writing a lot. 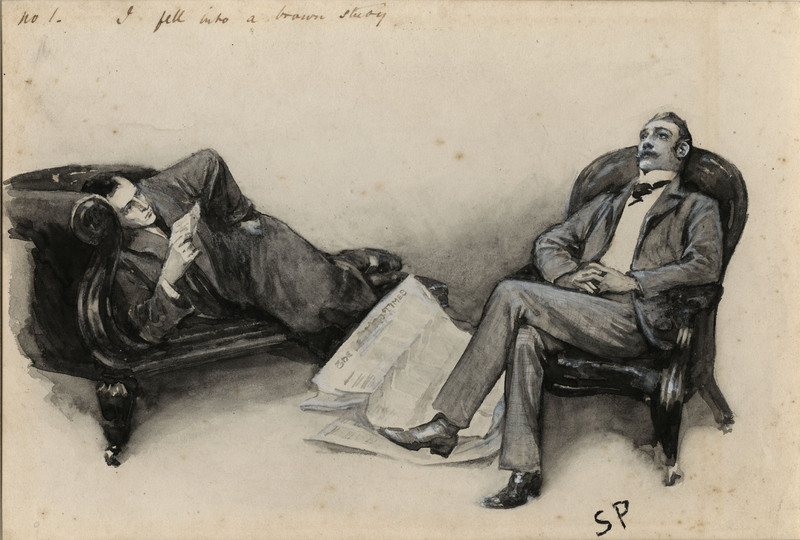 I especially liked the part when you evaluate how you feel when you are alone enjoying Holmes. The compete joy you feel. It’s not always easy to recognize or pay attention to this special joy. I hope you continue to enjoy your obsession. Be happy you have one. I think many people wish they had an obsession like yours but are not aware that’s what they are wishing for. Thanks, Kelly. I hadn’t thought that maybe other people wish for obsessions without being aware that’s what they’re wishing for. But it’s true that I am happiest when I’m participating in an obsession (I have many), and that sometimes when I’m between obsessions I feel like I’m wishing for something but I don’t know what.